As first reported by BuzzFeed, a subpoena by death row inmates in Mississippi is currently threatening the pharmacy’s continued anonymity. The inmates—who must suggest a better execution method than Mississippi’s to have it changed—asked the state of Missouri for information about its lethal drugs, including the identity of its supplier. The pharmacy’s lawyers, however, claim that the actual purpose of the inquiry is to expose their client for its politically motivated decision to sell the drugs. Because of this, the supplier only known as “M7" argues that the First Amendment protects it from being named and subsequently harassed. “At issue in this matter is whether the discovery process can be used to find out the names of lethal chemical suppliers so that anti-death penalty activists may harass and boycott those suppliers in an effort to coerce them into not supplying lethal chemicals,” wrote the attorneys, according to BuzzFeed. States have found it increasingly difficult to obtain lethal drugs since 2011, when the European Union banned the export of a widely-used barbiturate for executions and the sole domestic supplier stopped making the drug. In the last five years, states have experimented with new execution “cocktails,” with often horrific results. In Ohio and Oklahoma, inmates have died thrashing, screaming and gasping after botched executions, resulting in both states temporarily halting all executions. It’s unclear whether M7's free speech argument will be accepted by the court. 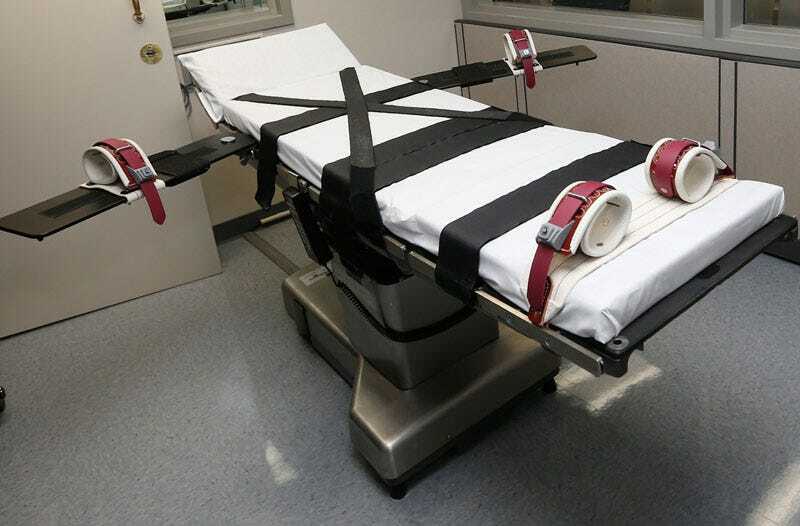 In their motion, the pharmacy’s lawyers claim the “decision to provide lethal chemicals to the Department was based on M7’s political views on the death penalty, and not based on economic reasons.” According to documents obtained by BuzzFeed, however, Missouri has given M7 $125,000 for execution drugs—significantly more than their regular market value.